Couture Bridal Photography is the top Fort Lauderdale Wedding and Bridal Portrait Photography Studio in South Florida. Couples from around the world choose Fort Lauderdale to host their Weddings. When they book their wedding at many of Fort Lauderdale's amazing Wedding venues, they hire Couture Bridal Photography to photograph their Wedding day. Couture Bridal Photography is Fort Lauderdale's top rated award winning Wedding Photography studio. Founded in 2008 Couture Bridal Photography is Fort Lauderdale's only Boutique Luxury Wedding Photography studio serving all of Fort Lauderdale's most popular and exclusive Wedding venues, locations, resorts, Hotels and Golf Clubs. Fort Lauderdale Florida has an abundance of many wedding venue options plus beautiful sunny weather most of the year making Fort Lauderdale one of the most preferred locations along the east coast for Weddings. Additionally, Fort Lauderdale has an international airport and major cruise port where brides and grooms can easily set off on planned honeymoons anywhere around the world easily. 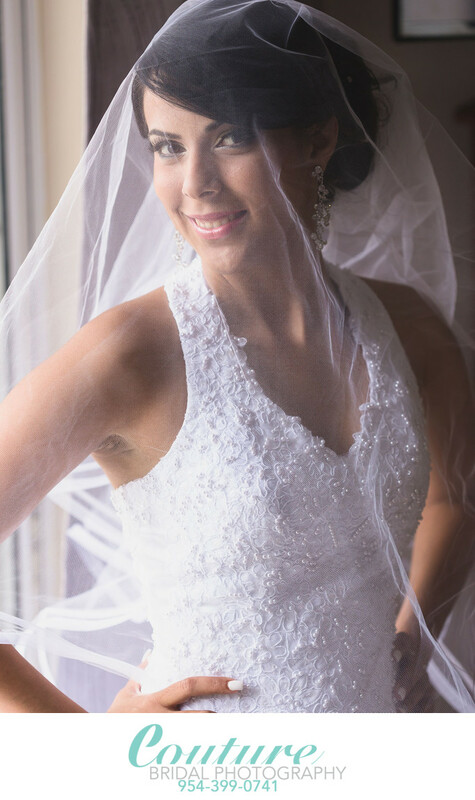 Brides throughout the various towns and cities within greater Fort Lauderdale choose Couture Bridal Photography as the most trusted, preferred and referred Wedding Photography studios in Florida and around the world on Destination Weddings. Couture Bridal Photography rose to fame throughout Fort Lauderdale for the Elegant, Romantic and Timeless Wedding and Bridal Portrait Photography brides consider captivating and exquisite. Couture Bridal Photography's Wedding and Bridal Portrait Photography has been described as Elegant, Romantic and Timeless. Couture Bridal Photography can be contacted at 954-399-0741. Couture Bridal Photography is located at 601 North Rio Vista Blvd. Fort Lauderdale, FL 33301 by appointment only near downtown Fort Lauderdale. Location: 900 N Birch Rd, Fort Lauderdale, FL 33304. Keywords: Bride (114), Gaylord Palms Resort & Convention Center (3), Orlando (3). 1/640; f/2.8; ISO 1000; 100.0 mm.